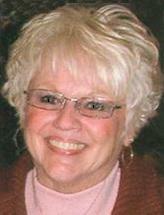 DUNKERTON - Carol E. Bandfield, 69, of Dunkerton, died Tuesday July 8, 2014, at Mercy Medical Center, Cedar Rapids, due to complications of surgery. She was born Dec. 22, 1944, in Waterloo, daughter of Claude W. and Ethel P. Carney Reed. She married Paul Bandfield at Trinity American Lutheran Church on Sept. 11, 1965. Carol graduated from Waterloo East High School in 1963 and had worked as a sales consultant for KWWL and KCFI for several years. She served on a variety of local boards over the years, and was member of St. John’s Lutheran Church, Bennington Township. Survived by: her husband; a son, Bradley of Dallas; a daughter, Traeci (Keith) Baker of Watertown, Wis.; a grandson, Brett Baker of Indian Hills, Colo.; a sister, Claudette (Al) Lewless of Exuma, Bahamas; a niece, Kim Parker of Amsterdam, the Netherlands; and two nephews, Greg (Lisa) Parker of Swisher and Chris (Michelle) Parker of Atlanta. Services: 10 a.m. Saturday at St. John's Lutheran Church, Bennington Township, with burial in Garden of Memories Cemetery, Waterloo. Visitation from 4 to 7 p.m. Friday at Locke Funeral Home, Waterloo. Memorials may be directed to the church at 4110 E. Mount Vernon Road, Waterloo 50703.